It’s mid-August and an ideal time to save your own flower seeds. Lots of flowers either have or are starting to set seed. A quick walk around my own garden and I found about 20 different flower seeds to collect. Flower seeds come in all sorts of shapes and sizes. 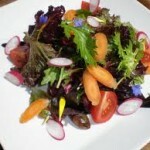 Some are large and easily collected, like Sweet Peas, Cerinthe and Morning Glory. 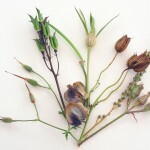 Other seeds can be very small and fine, like Poppies, Foxgloves and Lobelia. The best time to harvest the seed is when the pods are starting to go pale brown. It doesnt matter if the pods still have some green, but the seed will have better germination if it is mature. Poppies for example can be harvested when pale green and still give good viable seed. 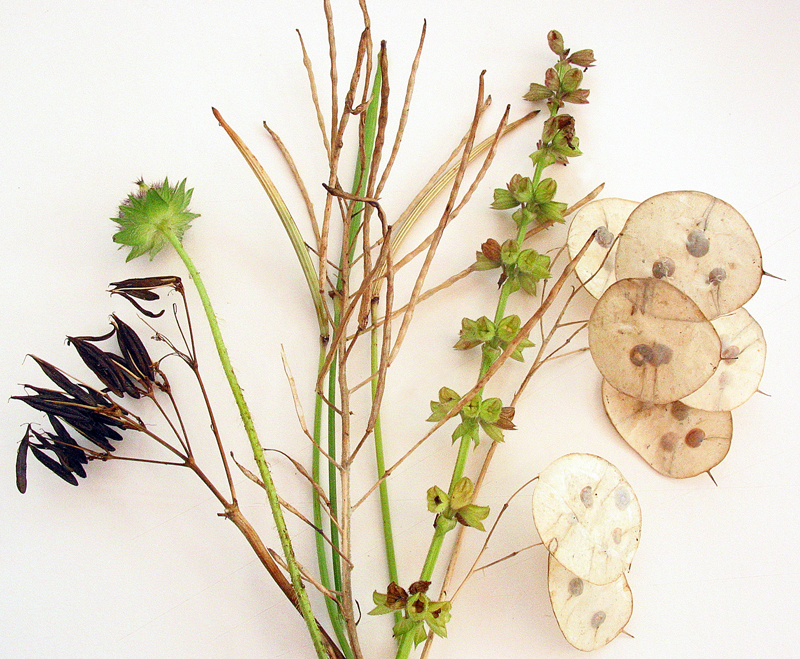 There are a number of ways you can collect seeds. The easiest way is to walk round the garden and tip the pods into a container catching the seeds, then take back to the house to clean and store. Remember to only do one type of flower at a time, unless you are creating a seed mix. 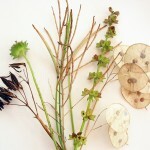 I like to walk round my garden and select stems of seed pods and place in a dry jar or vase [ without water ] and let them dry out in the house for a few days. 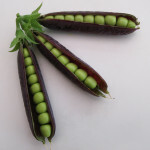 This works well with flowers that have upright pods that hold their seed, like Aquilega, large Poppies, Delphiniums and Honesty. If the seed is easily dropped, then cut the stems and put straight into a paper bag to collect the falling seed. 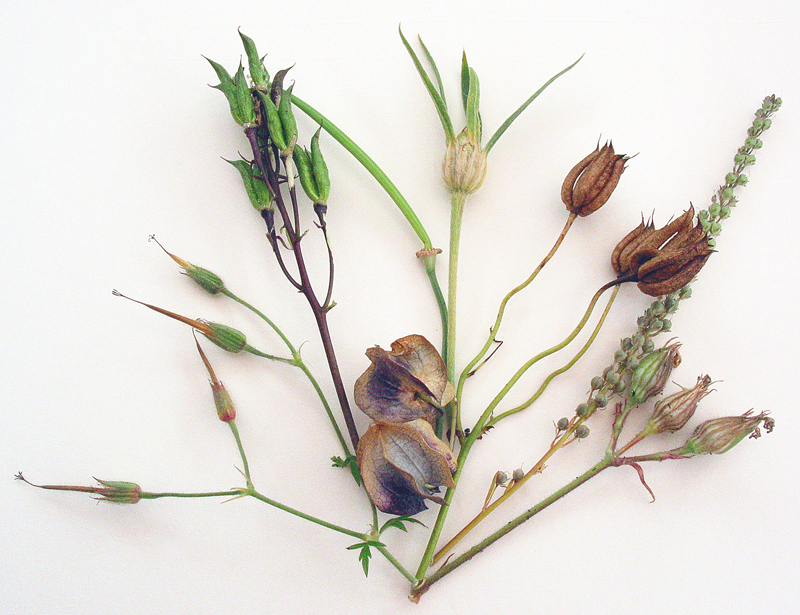 It’s much eaiser to collect one flower variety at a time, and to label immediatly, it’s so easy to forget which seed is from which flower if you are collecting many different ones. Write the name of the flower you are collecting on the bag or container, before you collect the seed, then you wont forget. 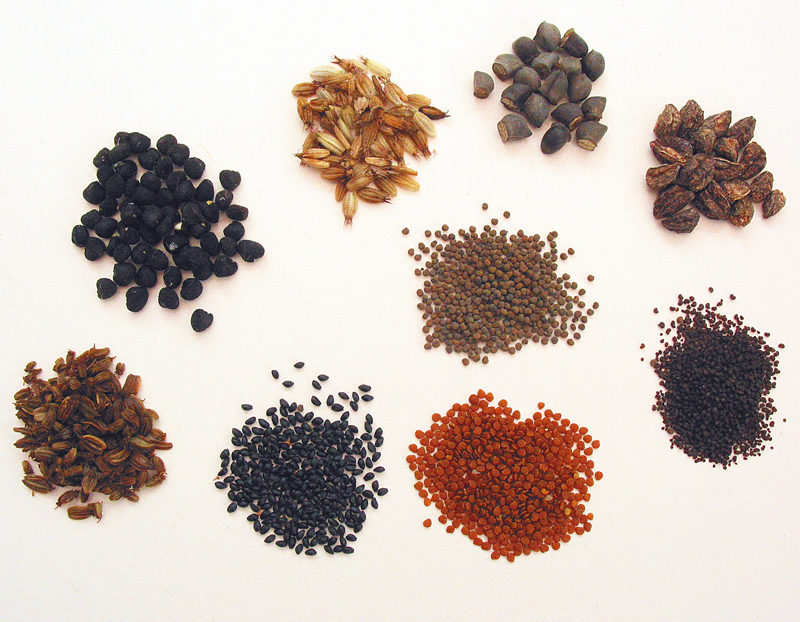 To clean seed, most shouldnt need more than picking out the odd bit of dried pod or leaf, and checking there are no insects. Store your harvested seeds in paper bags or envelopes, I like the glassine bags often used by stamp collectors, they can easily be bought on-line in lots of sizes. Store your seed collection somewhere cool and dry. Many of your newly harvested seeds can be sown now, and get a good start before winter, like hardy annuals which can be sow direct. Some of the hardy perennials that need a period of cold to break dormancy [ stratification ] can also be sown now in pots or trays and kept in a cold greehouse or cold frame overwinter. 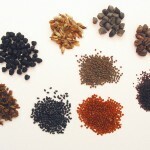 Enjoy your seed hunting it can be great fun as well as saving you a little money. If a friend or neighbour has some flowers you have admired, ask if you can take some seed from them, or collect a little seed from wildflowers and combine with seeds from your own flowers to create a unique meadow or flower border. Packets of your own harvested seeds, in particular a hardy annual or wildflower mix, make great little gifts and a small packet can be included in with celebration or Christmas cards. Design and make your own seed packet for a very personal touch.